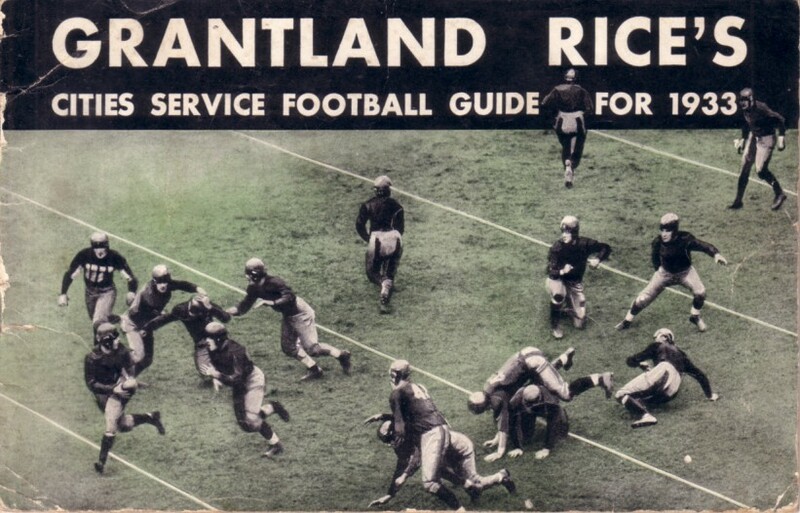 Original, complete Grantland Rice's Cities Service Football Guide for 1933, booklet about 5 1/2 by 8 1/2 with college football schedules, previews and his 1932 All America Team. 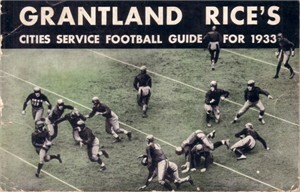 Has moderate to heavy wear but cover is intact and there are no missing pages. ONLY ONE AVAILABLE FOR SALE.